Bsc(computer science)with b.ed eligible for TET exam? 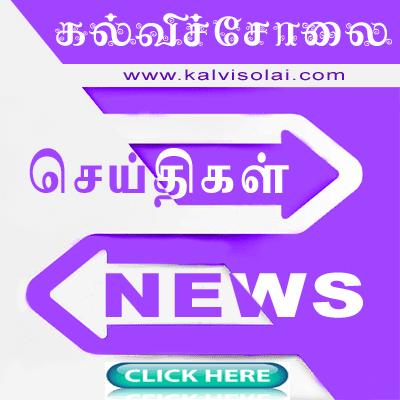 my friend clear TET exam (Bsc(cs)b.ed)but the posting wasn't allotted!!!!!!!!!!!!!!!! Ineed to postal department clerical examination date. Those who have finished computer science degree with B.Ed,have no way.Please consider our studies. Please update the latest recruitment. 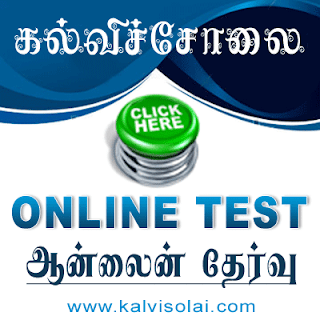 It will be useful all user's in kalvisolai. Why no proper answer from TRB about TET. Most people says that there will no exam this year or then. Anyone knows about it ? 2. Request to allot 75% of Block Resource Supervisor Post to Middle School Headmaster on promotional basis. Scope of Block Resource Centre is all the Elementary, Middle Schools and Classes 6 to 8th of High and Higher Secondary Schools & responsible for conducting various training programs, implementing government Schemes, building construction etc. It may be noted that the ratio of students / teachers belongs to Primary & Middle Schools and Classes 6 – 8th of High and Higher Secondary Schools is approximately 75:25. Since Primary & Middle Schools comprise about 75% and have surplus qualified persons available in elementary education department, why the BRC Supervisor post is to be filled 100% with High School/Higher Secondary BT/PG Assistants alone. More over majority of them, who are promoted as BRC Supervisors are belongs to class 9 and 10th only and not at all connected with elementary educational setup (class 1 to 8th) for which the BRCs are functioning. Hence Middle School Headmasters are to be considered & need equal proportionate opportunity in the appointment of BRC Supervisor. 3. Request to promote only AEEO/AAEEO/BRC Supervisors (Promoted from Elementary Education as per the request No. 2) as District Elementary Educational Officers. a. At present, DEEOs are promoted from High School Head Masters / Transferred from Head Masters of Higher Secondary Schools. Both the cadres are not from Elementary Education department and may not be familiar with Elementary Educational setup. b. It may be noted, all the rules and regulations were framed long back and before creation of Separate directorate for Elementary Education. During and even after creation of separate directorate, there were no qualified persons to get promoted to higher levels. Now the position is not like that & we have surplus qualified persons, similar to High Schools, Viz, BT Assistants / Tamil Pandits, Middle School B.Ed. Grade Head Masters and AEEOs. c. When B.T Assistants / Middle School Headmasters are not at all allowed to get Transfers to High / Higher Secondary Schools, why they are freely allowed to get appointed by promotion to our department, for which they are not at all connected. d. A B.T Assistant joined in High/Higher Secondary School gets promotion to Head Master of High School/ BRC Supervisor/PG Assistant and then to DEEO/CEO/Joint Director/Director Positions, where as similarly qualified and appointed BT Assistant in the Middle School promotion Opportunities are limited to Middle School Head Master /AAEO alone. This Step-motherly treatment on Elementary Education department by those who are in the rule making place, appointed from High/Higher Secondary Schools is arbitrary and violative of Articles 14 and 16 of our Indian Constitution. Considering all these merits, All the DEEO Posts are to be filled only with qualified persons available in the department of Elementary Education. This is for published to make awareness among concerned department Teachers and to act. can u please say how much vacancy for TET PAPER 2?